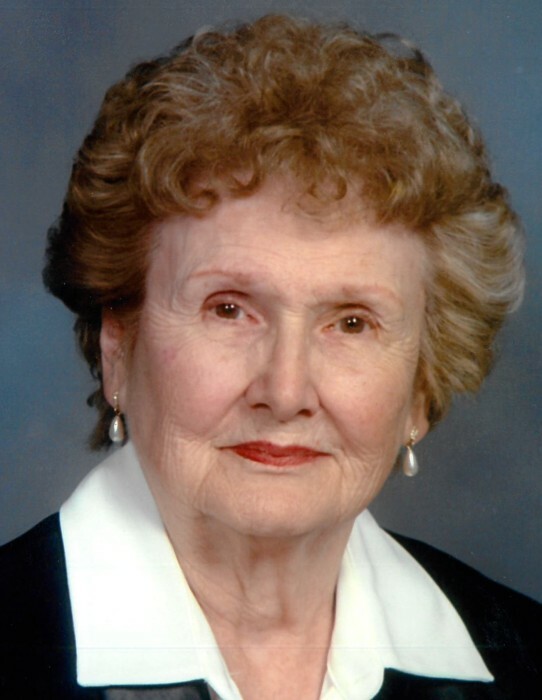 Bridgeport ~ Dorothy Jeanne Earley, 94, went to be with our Lord Tuesday, February 12, 2019, in Decatur. Evening prayer is 6:00 p.m. Friday at Ascension & St. Mark's Episcopal Church in Bridgeport with reception to follow. Memorial is 11:00 a.m. Saturday at St. Vincent's Cathedral in Bedford. Father Keith Roberson will officiate the evening prayer and Father Ryan Reed will officiate the memorial. Dorothy was born September 15, 1924, to Jessie Edward and Julia Josephine (Antz) Frederick in New Orleans, Louisiana. She was united in marriage to David K. Earley on May 31, 1952, in New Orleans. Dorothy graduated Sophie B. Wright Girls High School, New Orleans, Louisiana on May 30, 1941. She served in the Army Nurse Corps during World War II. Dorothy graduated St. Joseph's Hospital School of Nursing June 10, 1962. She graduated University of Texas at Arlington with a Bachelor of Science in Nursing on May 21, 1977. Dorothy served as a nurse for the United States Public Health Service in Fort Worth for 17 years. She was a dedicated volunteer for Healing Wings HIV/AIDS Center at JPS Hospital. She was preceded in death by her parents; her husband, David K. Earley; her sons, William Bradley Wise and Sean Kevin Earley; her sister, Ruth Frederick Poche; and her brother, Charles E. Frederick. Those left behind to cherish her memory are her daughter, Linda Jeanne Wise Swindle and husband Cordell; her daughter-in-law, Linda Wise; her grandchildren, Melissa Jeanne Swindle, David Bradley Wise, Kail Charles Swindle and wife Amber, Kathleen Swindle Siek and husband Scott, and Michael Frederick Swindle and wife Lexi; her great-grandchildren, Zoe and Jack Wise, Cate and Jack Swindle, Julia, Sean, and Laura Siek, and Henry Swindle; her nephews, Jim and Michael Poche; extended family, and a host of friends.